In the Old Town of Riga, a new sporting phenomenon established itself on September 1 as athletes of all ages raced each other through urban parks and historic squares. 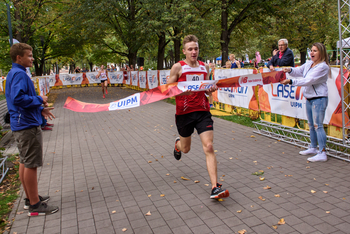 The UIPM Global Laser Run City Tour has found another new host in the capital of Latvia, where more than 100 participants from various regions of the country tried Laser Run for the first time. The competition took place within the framework of the popular Riga Sports Night, an initiative organized by the Riga Municipality in cooperation with sponsors. Many Latvian sports federations participated and the Latvia Modern Pentathlon Federation was represented alongside sports federations such as athletics and triathlon. A spokesperson for the local organising committee said: “The UIPM Global Laser Run City Tour is a great opportunity to promote Modern Pentathlon sports and a great opportunity to make opportunities visible for everyone.